According to UNAIDS Report 2013, an estimated 260,000 children below 18 years were newly infected with HIV in 2012 in low and middle income countries. While the first paediatric HIV case in India was recorded in 1987, in 2012 out of the 2,100,000 people living with HIV in India, 200,000 were children below 15 years. The International Conference on “Emerging Frontiers and Challenges in Management and Control of STIs and HIV” organized by National Institute for Research in Reproductive Health (Indian Council of Medical Research) and MGM Institute of Health Sciences and being held in Mumbai, India had some very informative sessions addressing the issue of paediatric HIV. Dr Bageshree Seth, Professor in Paediatrics, MGM Medical College and Hospital said to Citizen News Service (CNS) that paediatric HIV is different from adult HIV infection on three counts—mode of transmission, progression of disease and clinical presentation. The primary mode of transmission of HIV in children is from mother to child (85%-90%) and the rest is through transfusion of infected blood and sexual transmission. However Dr Atmaram Bandivdekar, a senior scientist at the National Institute for Research in Reproductive Health, ICMR, Mumbai, does not rule out paternal transmission of HIV, as has been seen in one case in Mumbai where an HIV infected infant was born to an HIV negative mother and HIV+ father. In the pre HAART years 3 distinct patterns in progression of the disease in perinatally infected infants were seen—(i) in 15%-25% HIV infected children the disease showed rapid progression with symptoms evident during the first few months of life and median survival time of 6-9 months if untreated; (ii) 60%-80% new borns showed a slow progression with symptoms becoming evident by 2-3 years and a median survival time of 6 years and (iii) in less than 5% children there was minimal or no progression of the disease for 8-9 years. Clinical manifestations present more commonly in children than adults include serious and recurrent bacterial infections, GI tract infections, chronic parotid swelling, lymphocytic interstitial pneumonitis and early onset of progressive neurologic deterioration. The most common symptoms in children with HIV as reported by many Indian studies are fever/cough lasting for more than 1 month, failure to thrive and not gaining weight, unexplained developmental delay, recurrent skin infections and diarrhoea and oral candidiasis. Other sites of infection are otitis media, skin and soft tissues and urinary tract infections. Central Nervous System manifestations are also more common in paediatric patients than in adults. The clinical manifestations may vary widely between infants, children and adolescents. Dr Seth cautions that the clinicians should have a high index of suspicion based on clinical and non- clinical cues; confirm the diagnosis with relevant laboratory tests and initiate treatment. Diagnosis of HIV infection in infants/children less than 18 months is through RNA PCR viral cultures and boosted p24 antigen. For those above 18 months there are conventional antibody tests with three different antigenic kits. Prevention of HIV in children is also one of the key goals of the National AIDS Control Programme of India. However, in the absence of any intervention, for every 100 pregnant HIV+ women, on an average 30 new born babies will be infected with HIV, out of which 5 will be infected during pregnancy, 15 at the time of delivery and 10 through breast feeding mostly in the early weeks. Disease progression in infants being rapid, 50% of them will die by the age of 2 years. But HIV treatment is ever evolving and is becoming simpler. A major breakthrough is less than 2% transmission from mother to child even while breast feeding. In fact, as Dr Ira Shah, a noted paediatrician of BJ Wadia Hospital for Children, Mumbai, pointed out, clinical research studies are being planned to determine whether an early course of ART in infants for a circumscribed period of time can eliminate HIV infection after it has occurred, resulting in a functional cure. Dr Shah gave an overview of the new paediatric HIV guidelines issued by WHO in 2013. 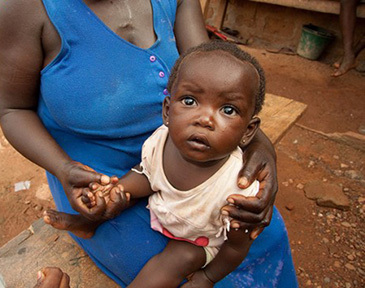 These guidelines are updates on paediatric HIV antiretroviral treatment (ART), as well as on prevention of parent to child transmission (PPTCT) for implementation in developing countries. The main recommendation in the new guidelines is to start ART in all children below 5 years of age irrespective of their CD4 count or their clinical stage, with a view to prevent ‘lost to follow up’, even though the WHO agrees that the level of evidence for this recommendation is low. Several studies, including a Cochrane review, say that there is insufficient evidence in support of either early or CD4 guided initiation of ART in HIV infected children aged 0 to 5 years. In one multicentric randomised open label study on 300 HIV infected children for early versus deferred ARV therapy for children over 1 year, results indicate higher mortality associated with starting ART at lower CD4 counts, but no significant mortality benefit from initiating ART irrespective of ART. The second recommendation is to increase the cut off of CD4 count to <500 cells /cu mm as the criterion for starting ART in children above 5 years of age, which synchronizes with adult ART guidelines. Also, tenofovir is now included in paediatric ART schedule, especially in children above 10 years of age, where it is recommended as part of first line treatment. In fact the US FDA has approved tenofovir for use in children 2 years and above. However its effect on the bone mineral density (BMD) in growing children is undefined. Two observational studies did report a decrease in BMD in children on tenofovir, while another Italian study reported no effect. The effect on Indian children will need to be assessed in future. The third recommendation is regarding PPTCT. The new guidelines recommend option B plus—putting all pregnant HIV+ women lifelong on triple ART consisting of tenofovir with efavirenz and either lamivudine or emtricitabine. These women can continue to breastfeed their babies and also deliver by the vaginal route. The babies are given either nevirapine or zidovudine for 6 weeks. The advantage of this method is the programmatic ease of implementation, prevention of drug resistance in the mother and continue breastfeeding they child without increase in transmission rate. Lactic acidosis in HIV negative infants exposed to long term regimens of anti retroviral therapy used for PPTCT, though rare, is a known entity. Whether prolonged exposure to anti retrovirals through breast milk will have an effect on the child will have to be assessed. The global target is to reduce by at least 90% (using a 2009 baseline) the number of new infections among children by 2015. The UNGASS (United Nations General Assembly Special Session on HIV/AIDS) goal is for zero HIV births by 2015. Hopefully the new paediatric HIV guidelines, coupled with renewed efforts from governments and other stake holders, will provide a big leap towards controlling and preventing HIV in children. No child should suffer for the folly of adults.